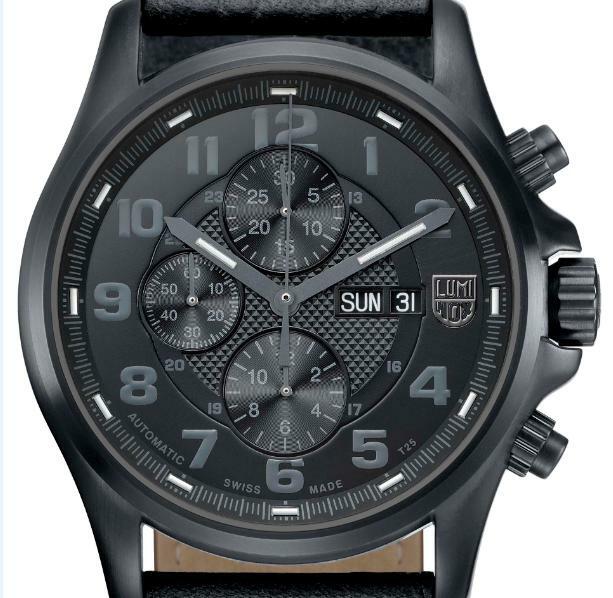 Following the success American designed, Swiss made Luminox has enjoyed with its Blackout models over the past two years - introducing one blackout model within several different series - it has now gone back to its roots and released a Blackout version of its Original Navy SEAL watch. In addition to this entry level Blackout, Luminox has also launched a Blackout offering in its top end Field Valjoux Automatic Chronograph series. 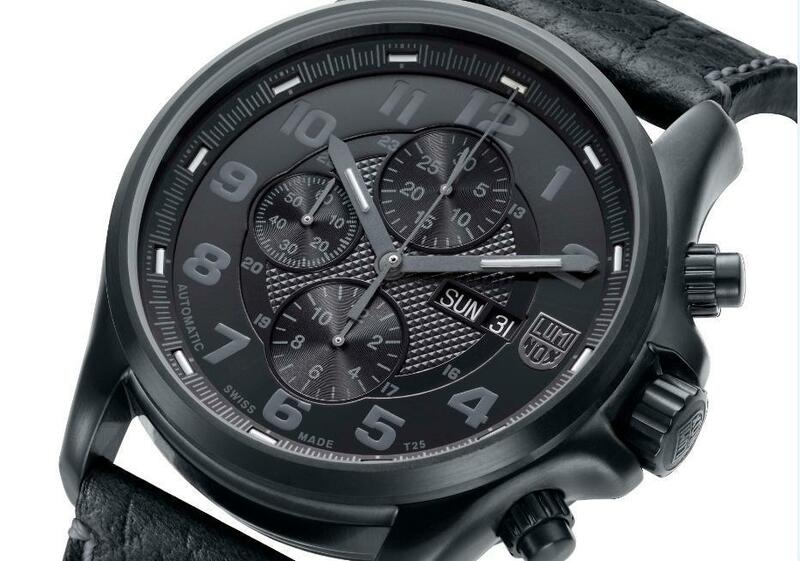 Luminox has recently moved up market with several new series that retail from $1,000 to $2,500, expressly created to deliver watches more suited to its fastest growing market segment – jewellery stores. Luminox claims to be the maker of the world’s most luminous timepieces thanks to the proprietary Luminox Light Technology (LLT) behind each watch. 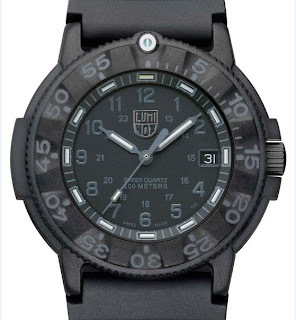 Luminox watches are known to be 'Always Visible' and always glow, and can continue to do so for up to 25 years. With the all-black BlackOut series a new blue colour on the hands and hour markers has been introduced for night viewing. The LLT-micro gas lights are glowing in blue – Blue by Night. 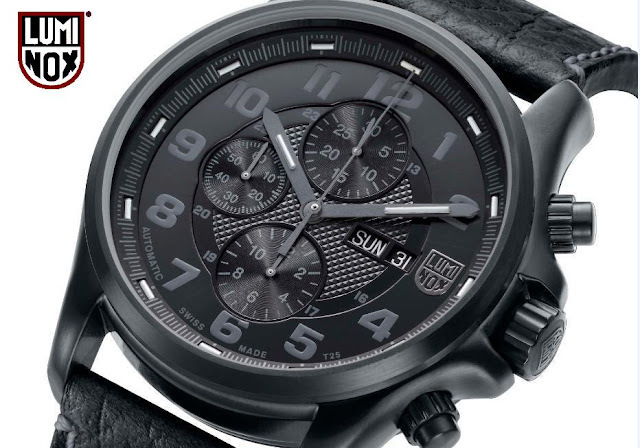 The watches have a completely blacked out appearance, but telling the time is still a cinch thanks to a tone-on-tone look achieved with a jet black dial and dark charcoal numbers and markings. The Original SEAL model is water resistant to 200 metres while the Field Valjoux Automatic Chronograph is capable of 100 metres and, like all Luminox watches, is Swiss made. Black is a key colour for Luminox because of the covert nature of the wearers of the brand – SWAT teams, Navy SEALS, Stealth fighter pilots, and other professionals.